America's passion for pick-up trucks is evident, but they don't make them like they used to. 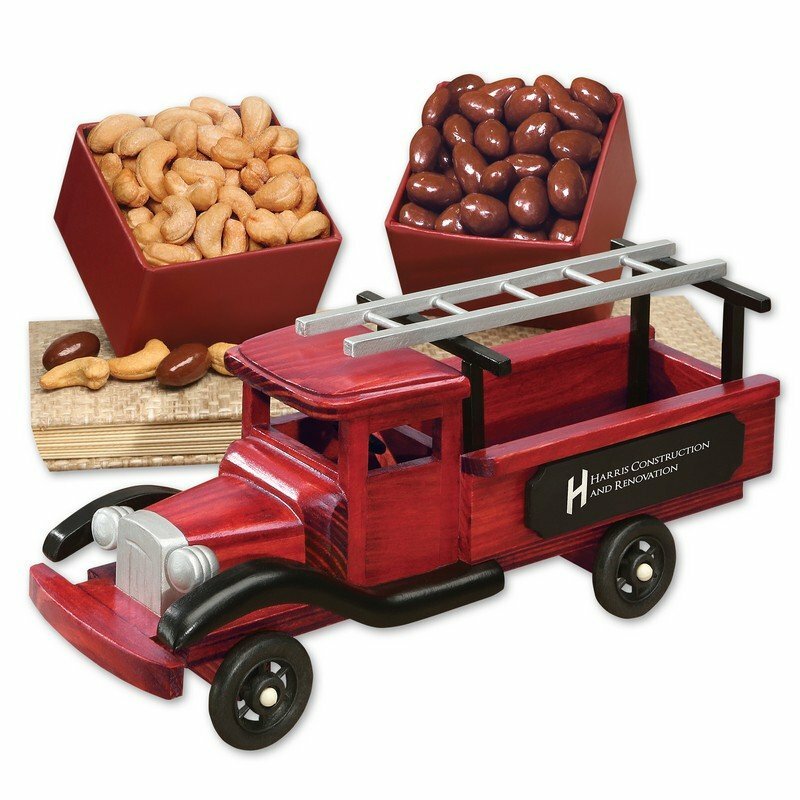 Each replica truck, complete with construction ladder, is hand-crafted, hand-painted and will be treasured for years as a collector's piece. We foil-stamp your logo in silver on both sides. We include a five-ounce packages of Chocolate Almonds & Extra Fancy Jumbo Cashews. Because of the demanding craftsmanship each truck will be unique. Limited edition. Price includes your imprint foil-stamped in silver on both sides of pick-up truck. Includes:Extra Fancy Jumbo Cashews, 5 oz.